Roamz is an Australian based company that was founded by Jonathan Barouch. A successful entrepreneur and founder of one of Australia's first online businesses, Fastflower.com.au. The Roamz mobile app's premise is to help users discover the world around them or "roam" as you will around the town. With so many location-based apps on the market the competion is quite stiff at the moment. 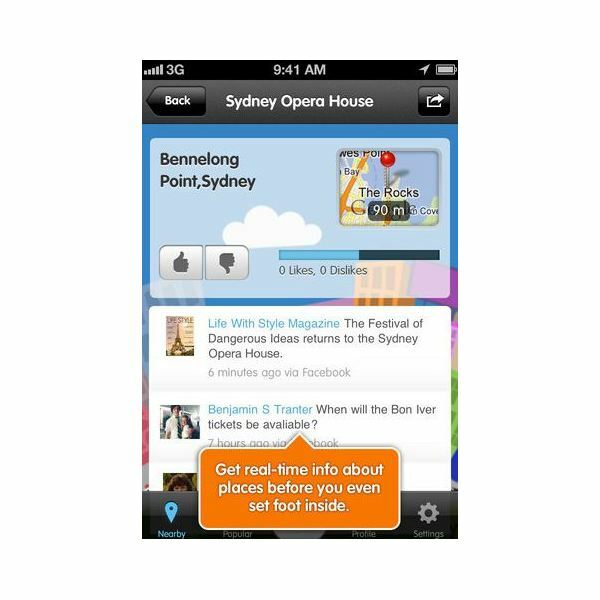 With popular apps such as Foursquare and Gowalla how is this similiar app going to stand out? To stand out from the crowd Roamz intends to choose locations for you based on relevant personal information. They get this information by having you select your interests, accessing your past activity history and from user recommendations. The more you use the app the smarter the app gets. It will access and use all of the information you input on your Facebook, Twitter and Foursquare accounts to display relevant information on the locations you would like to go to. Now let's take a look at the features. When launching the app you will first discover a cute animated interface that is set up for easy navigation. You are then prompted to choose to connect through Facebook, Twitter or Foursquare. I found it easiest to log in though Facebook because that is all I use. Roamz prompts you to connect with these social networks to help get more personalized recommendations for locations. Once you are signed in you are then met by a cute little creature that walks you through the set up process. On the main home screen there is a series of icons that are broken down into interests. You are supposed to turn these toggles on or off according to your preferences. Additional features include — searching the "Popular" category to gain knowledge on what's hot at the moment around your location, and adding a photo of where you are and commenting on it. In addition to what's hot, it also shows what is in your neighborhood, such as hair salons, local schools and libraries. If these things do not interest you then you can simply turn this option off and just leave the categories that are relevant to your preferences on. One feature I liked was the ability to gain information from not only my friends but from everyone who posted recommendations publicly. What I would like to see in a future update is the ability to follow and friend Roamz members. This is an option a lot of similar apps have, and if this company would like to stay up to date with their competitors then they should offer the same options. With so many fun features, how does it function? I would say the functionality is average at best. Like a similar app Localmind, it is just starting up and there are just the major metro regions being used at the moment. When I set up my preferences and searched for what is popular near Buffalo, New York I was amazed that there were not many recommendations. The results for locations such as New York City and LA were remarkable though. Once users start to explore the app and give their recommendations and add photos, Roamz will be a strong competitor in the location-based apps category. At first I thought this app would be like all of the rest, and frankly after using it, it kind of is. I liked the cute neighborhood feel to the interface and it was extremely easy to navigate through. Unfortunately it does not have the number of users it needs to be a successful app just yet. But there is a lot of potential for it to be one of the best location-based information apps out there. Basically Roamz is like having a tour guide in your back pocket. The genius of it is the fact that it provides information about where you want to go. It's more than just an app that gives users the basic information for a topic, it actually gives specific details and photos. It aims to show users the best relevant information by providing them with a service of specific recommendations. 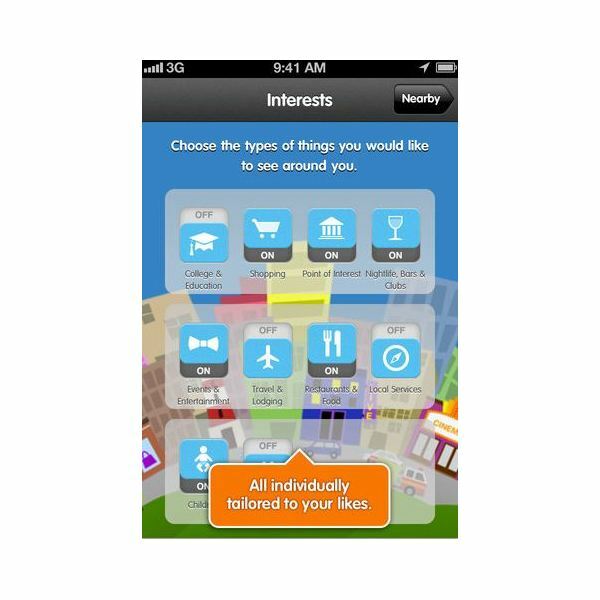 People tend to trust what others say about the best places to go for food or entertainment, this app is a great way for people to honestly tell what they really think of a particular place. For a free app, I would definitely suggest giving it a try. What do you think of the Roamz iPhone app? If you have any suggestions, questions or comments please feel free to leave a comment in the section below. We would love to hear your thoughts.